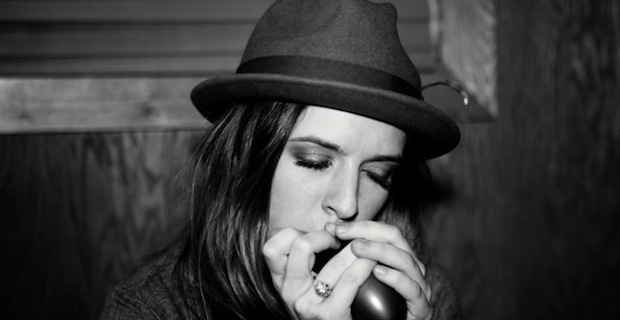 ZZ Ward is one artist who is truly unlike anyone else working in music today. Her fierce stage presence and no holds barred approach to storytelling has set her apart from her peers, and we could not be more excited to present you with an exclusive acoustic performance of one of our favorite songs. Recently, ZZ took her voice and music to Guitar Center’s Hollywood Vintage Room to take part in their popular podcast series. While there, ZZ performed a number of songs from her album Til The Casket Drops, including the track “Put Down Your Gun.” You can view that particular performance below. Click here to download ZZ’s podcast with host Nic Harcourt, and stay tuned to UTG for updates on her future tour plans.